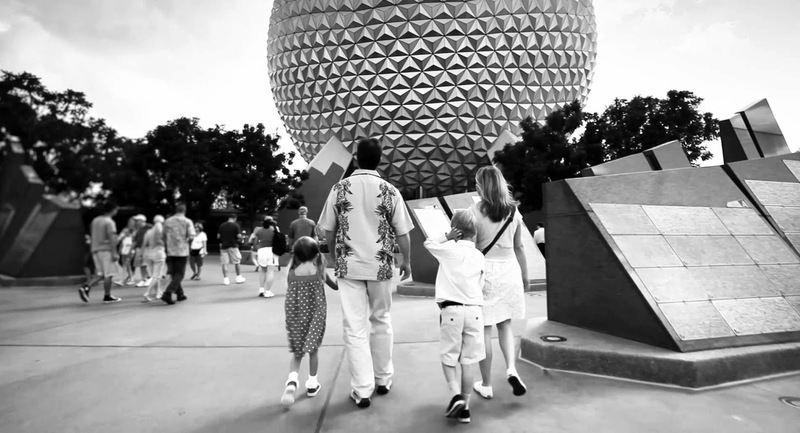 Two months ago I witnessed the "Disney Horror" film Escape From Tomorrow and I am still struggling to describe exactly what I saw. This, I must add, is not through lack of trying. Simply put, Randy Moore's gleefully anarchic, uncategorisable hybrid horror-docudrama, is as bananas a narrative film as one could imagine. From the premise through to the execution, Escape From Tomorrow is one of the most demented films in recent memory and, luckily enough, its absurdity is matched only by its gay abandon and black humour. Filmed covertly in Disney World, Moore's nightmare of a fable confronts us with a nuclear family vacationing in a land of fake castles and human-sized rodents. Jim (Roy Abramsohn) finds out he has lost his job and, surrounded by a strange combination of saccharine smiles and stressed out families, slowly begins to lose his mind too. Is there a sinister plot to harm him? Or, upon distraction in the form of a pair of French teenagers, is this even the most important matter for Jim at this moment in time? Kudos must be given to Moore - many filmmakers would be satisfied with such an out -there premise as to consider their work completed. Moore, however, works hard to maintain a peculiar land in which nothing is as it seems right up until the final frames. From the intriguing, and brilliantly bonkers set-up, the writer/director sculpts a riveting movie in which the audience is never quite sure what will happen next. "The Happiest Place on Earth" becomes the most bizarre - cat flu, princesses with sinister secrets and an underground lair all feature in a plot which seems to unfurl in a manner unprecedented in cinema. Those expecting a sharp satire, however, will be left somewhat confused. Easy targets are avoided altogether and, instead, Moore uses his set-up for beguiling and eccentric absurdities. There's little rhyme or reason for the plot, or indeed the movie, to exist other than to force guffaws out of its audience - often these come in unexplainable spurts. Indeed, the more one thinks about the laughs, the narrative or any aspect of Escape From Tomorrow, the less they can be understood - procrastinating simply opens up an inescapable labyrinth of more questions. My only advice when confronting the film - don't think about what you are watching or what you have seen. Enjoy (or don't) but whatever you do - don't ask questions.